Bear & Son Cutlery make a fine assortment of traditional pocket knives like this Mini Executive Lockback folder with genuine Mastodon ivory handles. 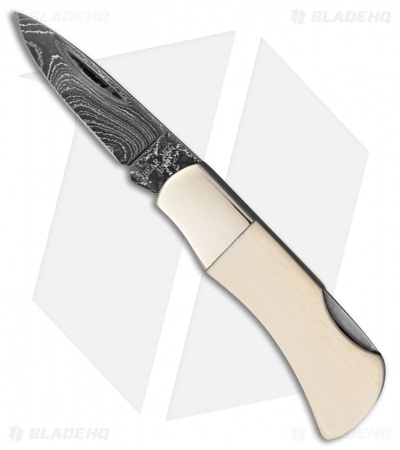 This 2.25" overall model has a nickel silver bolster and a damascus steel blade. This knife makes a great gift and is sure to be appreciated for years to come.